A series of improvements are planned in the next batch of updates. 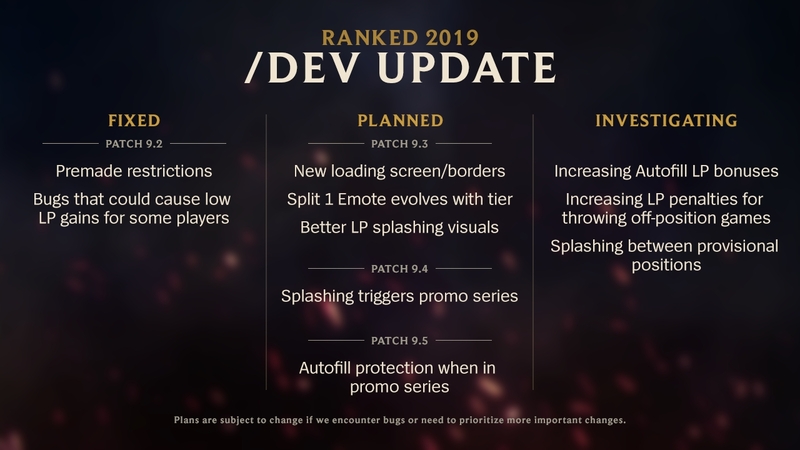 League of Legends' new ranking system has been in place for several weeks now, but it looks as though Riot Games isn't done tinkering with the re-worked ladder system quite yet. In a blog post published on the game's official site yesterday evening, the developers have outlined their thoughts on the rollout of the new ranking system, and their plans to continue reiterating on it over time. First up, bug fixes at launch. When the new ranking system went live, there were issues that prevented players from queuing together (notably where one party's account had been subject to a punishment), and restrictions around pre-mades were also causing issues as well. These problems have now been resolved. If you'd like more insight on all of these issues, you can learn more via the blog post on the official site.